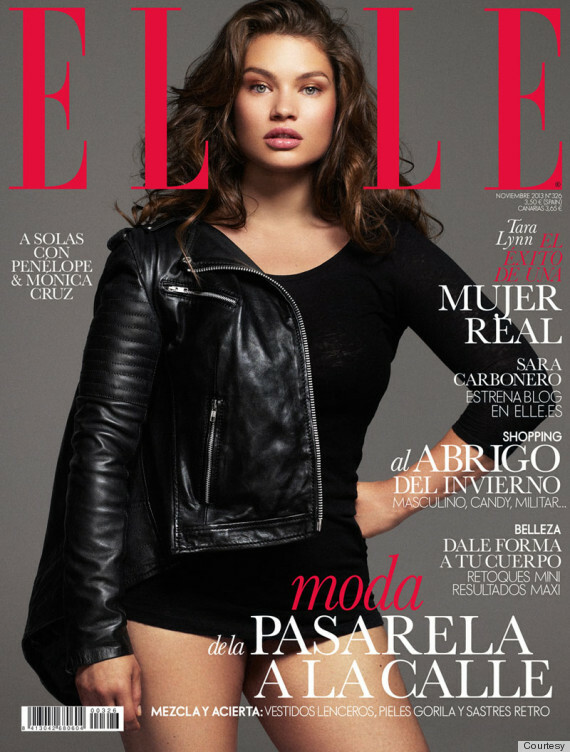 Plus Size Model Graces Elle’s Cover-Welcome Back Tara! Welcome back to Elle, Tara Lynn! The plus-size model graces the November cover of the glossy’s Spanish edition, reminding us it’s been too long since we’ve seen her there. Tara is no stranger to magazine covers… across international waters, that is. While the H&M “Big Is Beautiful” swimsuit model has graced Elle France and Vogue Italia covers in the past, we have yet to see the Seattle-born beauty land a front page on a major American fashion magazine. Watch the behind-the-scenes video of the shoot above and check out the final product below. Note that Elle Spain dubs her a “Mujer Real” — a real woman, indeed. Here’s hoping we see more covers in Tara’s future!